Early Childhood: Nonverbal communication cues !!! I watched an episode of Modern Family. The characters in the series have various roles and each character have some sort of relationship with each other. I interpreted most of the relationships in the series correctly as it was pretty obvious. However the plot of the series and the communication they were having with each other were not much correct as per my observation. For an example, while I watching without the sound, I assumed that the father was having an affair with a neighbor and he was trying to flirt. However after I watched the show with the sound on, the story was little different and there were not evidence of flirting with the neighbor. Also while the gay couple goes to the school, I assumed that one of them was not happy with the other partner because of their daughter. But after I watched it again, I realized that their problems were actually mutual and they were having hard time understanding parenting styles and meeting their daughter’s needs. In this series, there were several cues that showed me that the feelings that each character had different emotions. For an example, when the father sees the neighbor, he makes the face and looks behind the neighbor that I assumed that he was flirting with the neighbor, who is a lady. Also the gay couples were walking nervously and one of their face turned red while walking into the music classroom. He also used hand gestures that showed that he was nervous and not very comfortable. It was obvious that he was feeling negative even without the sound. According to O’Hair and Wiemann, nonverbal communication is the process of intentionally or unintentionally signaling meaning through behavior other than words (2012). In this series as well as in general, most of our nonverbal cues are intentional but some of the cues can be intentional. For an example, when the gay couple feels uncomfortable, it in an unintentional signal to turn our face red or make hand gestures. It is common for many to feel this when we are not comfortable with new environment or different situation. In this way, I was able to tell that he was feeling negative. Even research supports that nonverbal behavior carries more importance than verbal behavior when we express spontaneous feelings (O’Hair & Weimann, 2012). I have watched a few episodes of this show. It is very comical. My father watches the show. I was listening to music with the headphones on and just began watching it. As you stated, some of the actions and relationships are obvious, but occasionally there's a scene that is not so obvious. The episode that I was watching was evolved around the homosexual couple's adopted daughter verbally stating that she was "gay." Their neighbor was intervening, but I couldn't assume what was going on, so I removed my headphones and began watching and listening. She thought that they needed to introduce her to an environment that fostered her culture. Of course, it was a mistake...hilarious. I agree that most of our nonverbal cues are unintentional and as our text states it is more believable than our verbal communications. I thought this activity was quite interesting. It is amazing what we can assume about those who we have not had any encounter with. It's amazing how different things become once individuals start talking. It is so easy to assume what others are doing. 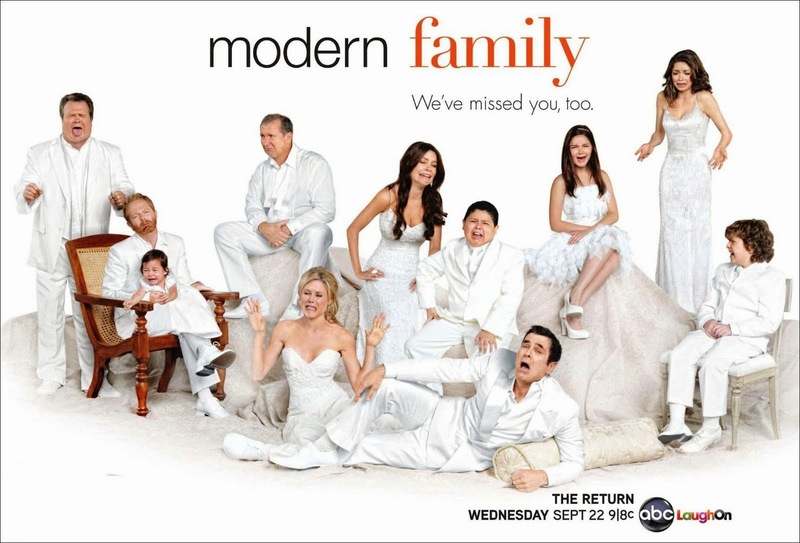 I think Modern Family is funny. I have only watched it once or twice but the communication styles of the characters are really obvious. Non verbal communication is an important part of family dynamic. My daughters can read each other's minds which at times is spooky. The nonverbal communication between the gay couple crack me up they are so over the top and stereotypical. Great observations on the show.